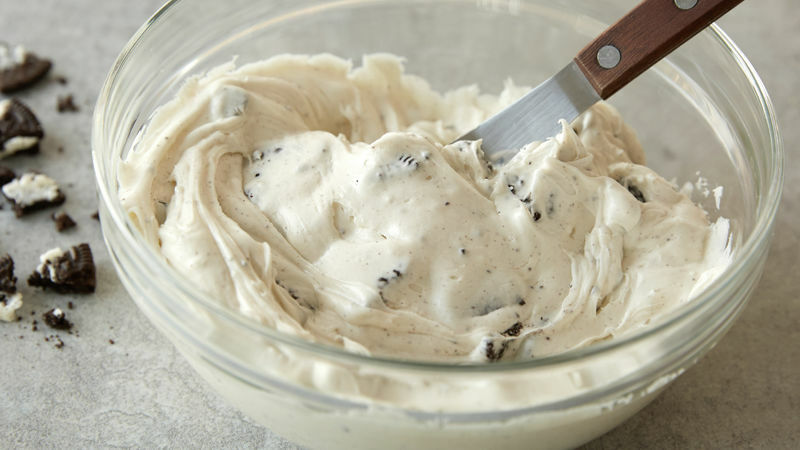 In medium bowl, beat frosting and crushed cookies with spoon until well blended. Frosts 13x9-inch cake generously. Try your favorite flavor of Oreo™ cookies for a new flavor twist. You can easily crush cookies by placing them in a resealable food-storage plastic bag and pressing with a rolling pin a few times.